Who doesn’t love the idea of spending an evening in the backyard, cozied up in front of a roaring fire under the stars enjoying time with friends and family? There’s something in all of us that is attracted to the warmth of a fire on cool evenings and the relaxing atmosphere that the soft light of a fireplace or fire pit can add to any outdoor setting. 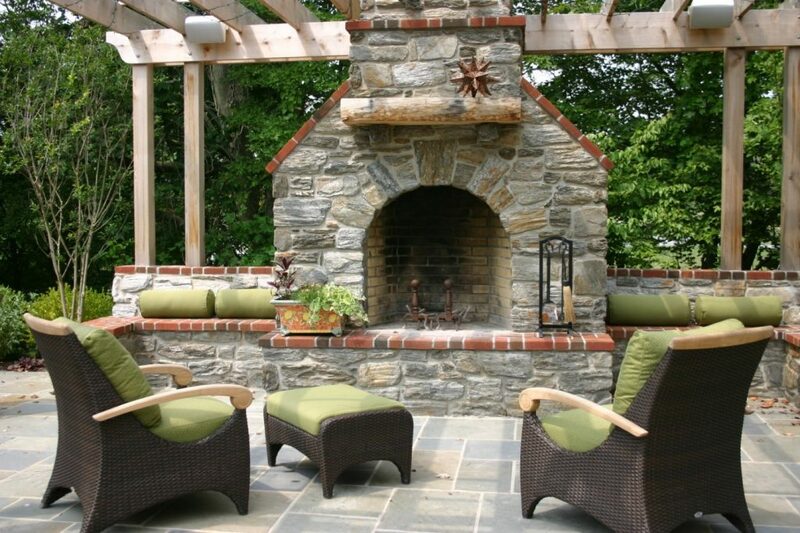 An outdoor fireplace will not only increase the value of your home, it will increase your ability to enjoy spending time outdoors as the nights get cooler and the seasons change. 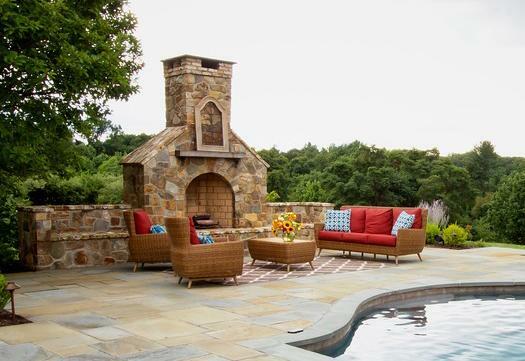 Outdoor fireplaces create great spaces for family and friends to get together in the colder months to escape from the hustle and bustle of everyday life. A deep hearth with an array of pillows creates extra seating for guests around the outdoor fireplace of this Delaware home. The wood-burning fire place is perfectly situated at the woodland’s edge, allowing guests to enjoy the natural surroundings while being warmed by the fire. The fireplace is made of vernacular stone and brick which compliment the architecture of the house. This particular stone fire-pit space is nestled into the landscape and has a glorious view of the rear property. Fire and water coexist happily in this space. Entertaining is a joy in this mixed use outdoor living space. A gas fire-pit extends the seasons of this spectacular landscape. Wallace was able to skillfully carve the pool into the existing hillside to create a dramatic multi-level outdoor entertainment space. At first glance, the steep slope in your back yard seems like the last place a pool should be built—as does a residential rooftop or the edge of a beachfront getaway just feet from the ocean. In many cases though, challenging sites are ideal spaces for an out-of-the-box pool. Richard Lyon will tell you that challenging sites are often ideal spaces for this type of design. In fact, hillsides and urban residences are the sites of many of Richard’s spectacular pool creations. 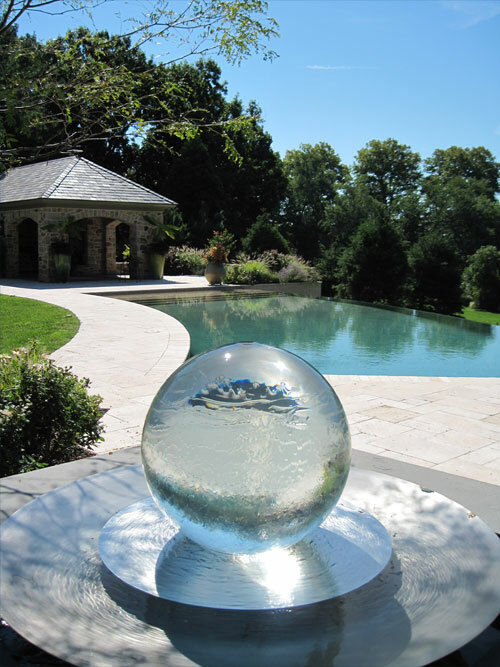 Designing a pool, or any landscape project, begins with a consultation with Richard, or another of Wallace’s landscape architects to determine the homeowner’s landscape needs and desires. Once a scope of work is agreed upon, the Wallace design team will conduct an in-house site survey that documents topography and existing site features. When designing a pool, determining local and municipal codes requirements are imperative. This is a vital step in the design process because it allows the Wallace team to understand potential conflicts before pool construction begins, ultimately saving the homeowner from possible construction changes, delays and added project costs. Richard works through every step of the design process with the client providing rendered plans, perspective sketches and cost estimates so the client has a full understanding of what will be built and how much it will cost. In house construction details are also prepared to ensure a well-thought-out design that is installed with minimal delays or field changes. One of the most common spaces for an uncommon pools site is within a hillside. The views from these placements are often spectacular and perfect for poolside entertaining and relaxation; but they can also pose an intense challenge for a pool builder, resulting in the need for employing the talents of a highly qualified, licensed professional. This residence in northern Delaware had only one flat usable space ideal for a swimming pool, however an underground utility line ran through it making installation impossible. 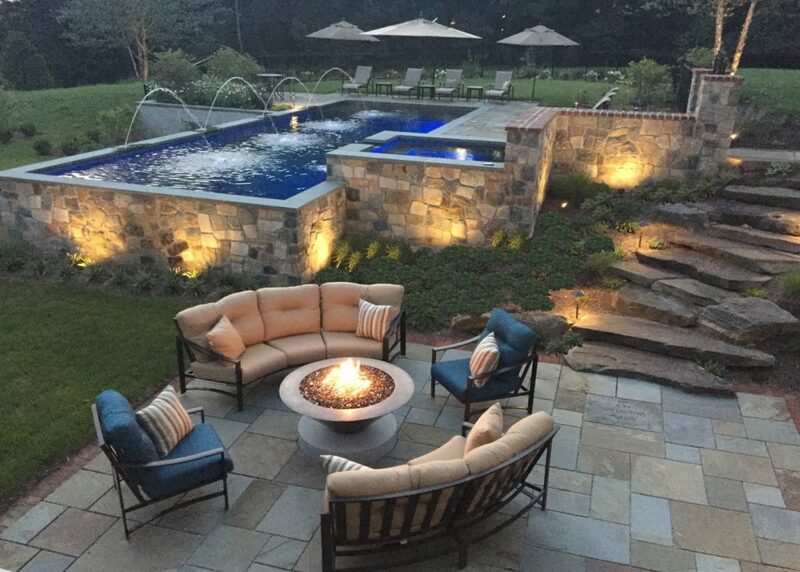 Richard was able to skillfully carve the pool into the existing hillside to not only solve the problem, but create a dramatic multi-level outdoor entertainment space. Rolling terrain, which is abundant in the Delaware Valley region, may present a problem when trying to install a pool. For those who have a sloped backyard, it is important to consider how (and if) the pool fits into the landscape. municipalities pool codes require a perimeter fence barrier surrounding the pool for safety. In this design, Richard was able to use the pools wall to satisfy the code requirement, cleverly allowing unobstructed views. 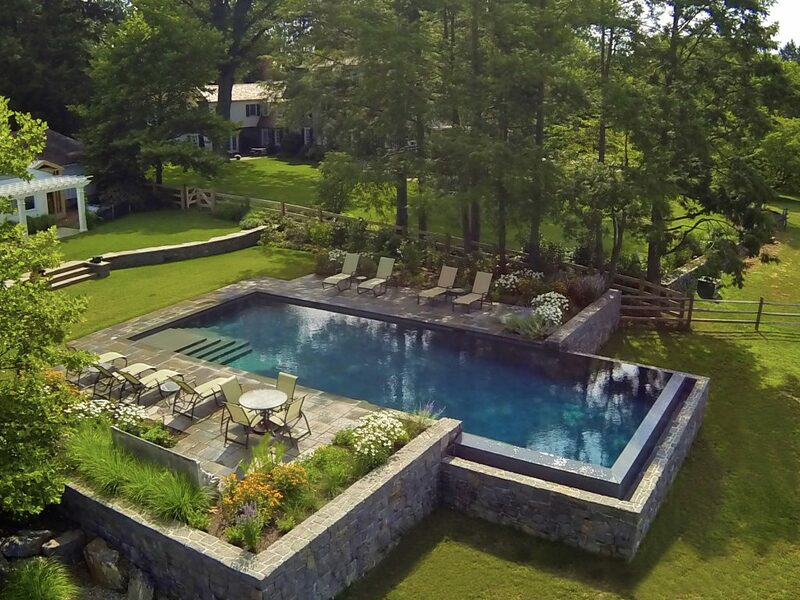 AFTER: Pool is nestled into existing sloping terrain. The art of designing a pool is not simply knowing where to place the pool on site, the real skill is understanding how the pool integrates into the larger landscape to create a cohesive design. Seamlessly blending design into existing site conditions, understanding topography and most importantly, collaborating with the client ensures that the vision and needs are articulated in the new landscape. Is a swimming pool in your future? This is a good time to meet with a landscape architect and start the process. Installing a swimming pool is a complicated design and construction project and not one that you will want to rush. Don’t settle for a cookie cutter pool when you can have one designed to meet your specific taste and needs. 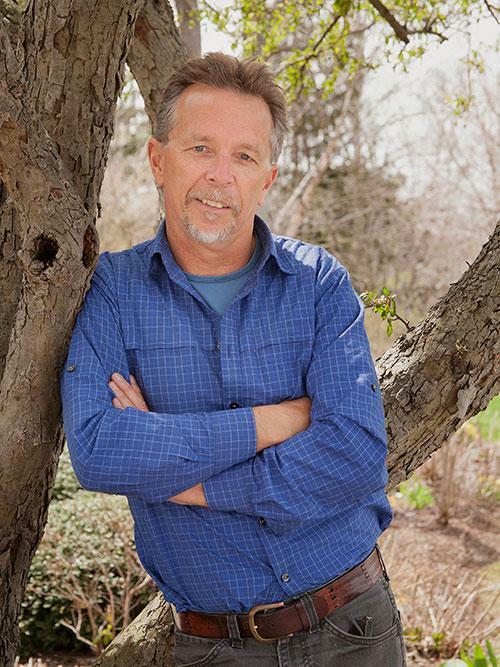 Richard Lyon, principal landscape architect at Wallace Landscape Associates, has been creating innovative design solutions and designing pools for challenging landscapes for over 30 years. He specializes in large-scale residential projects, the revitalization of older landscapes, and designing for new homes. To learn more about Richard and see some of Richards projects click here . There is nothing sweeter than being voted the “ best.” On Wednesday June 14, during a reception hosted by the Wayne Art Center, Wallace Landscape Associates was recognized by Main Line Media News for their achievement as Best Landscape Designer in the 2017 Reader’s Choice Awards. The annual event begins each year in late winter when ballots run weekly in all Main Line Media Newspapers and readers get to vote on their choices in a wide array of categories including medical, professional services, restaurants, financial planners, attorneys, home repair services and much more. Each year hundreds of winners are named. 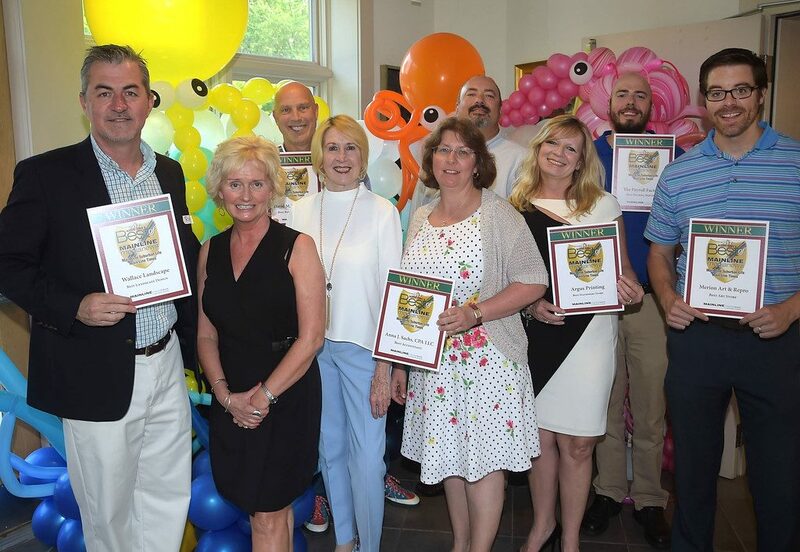 Honorees were awarded custom plaques and winning names and categories were published on June 18th in both the print and online Best of The Main Line Winners’ special editions of Suburban Life, Main Line Times and King of Prussia Courier Newspapers. The people at Wallace would like to thank the readers of Main Line Media Newspapers for voting for them and will continue to provide the highest level of service to it’s loyal customers. (Left to right) Ron Dodd of Wallace Landscapes, Joan Goldschmidt of Sugartown Communications, David Dillion DMD. Digital First Media account manager, Ednea Woods,Anna Sachs CPA, Allen Noll and Jason Saul of the Payroll Factory, Mary Beth Heilmann of Argus Printing and Joe Lyons of Merion Art and Repo were among the businesses honored as the Best of the Main Line. 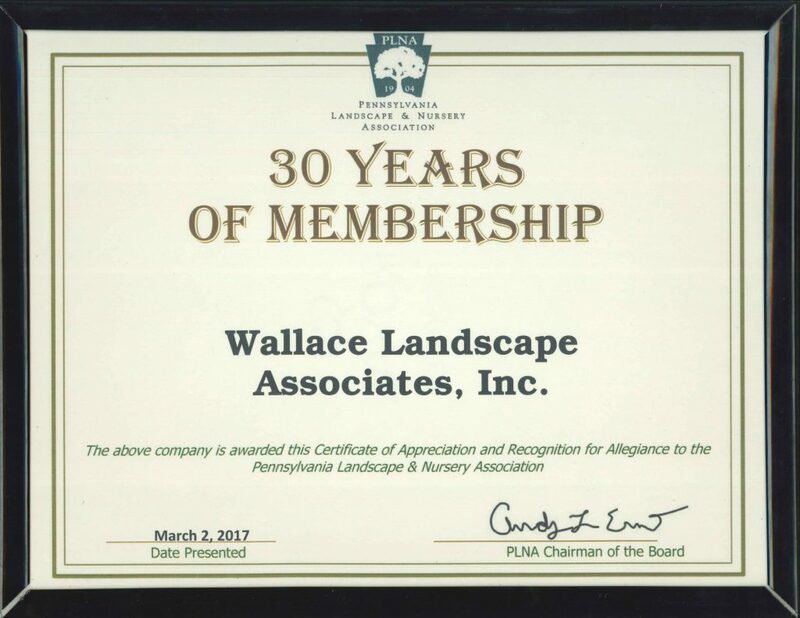 Wallace Landscape Associates is proud to be a member of the Pennsylvania Landscape and Nursery Association (PLNA) for 30 years. The PLNA is the leading trade association representing Pennsylvania’s $6.8 billion green industry. Founded in 1904, its member landscape contractors, retail garden centers, wholesale nurseries and greenhouses produce outdoor living environments that improve economic value, air quality, water quality and human health. We are proud to announce the newest member of our professional gardening staff, Matthew Hudecki. Matthew comes to Wallace Landscape Associates from his position as assistant horticulturist at the renowned Chanticleer Gardens where he was in charge of maintaining the gardens. Matthew also worked at the Pittsburgh Botanic Gardens as a staff horticulturist where he learned invaluable experience in establishing botanic gardens including: garden layout, planting design and horticultural practices. 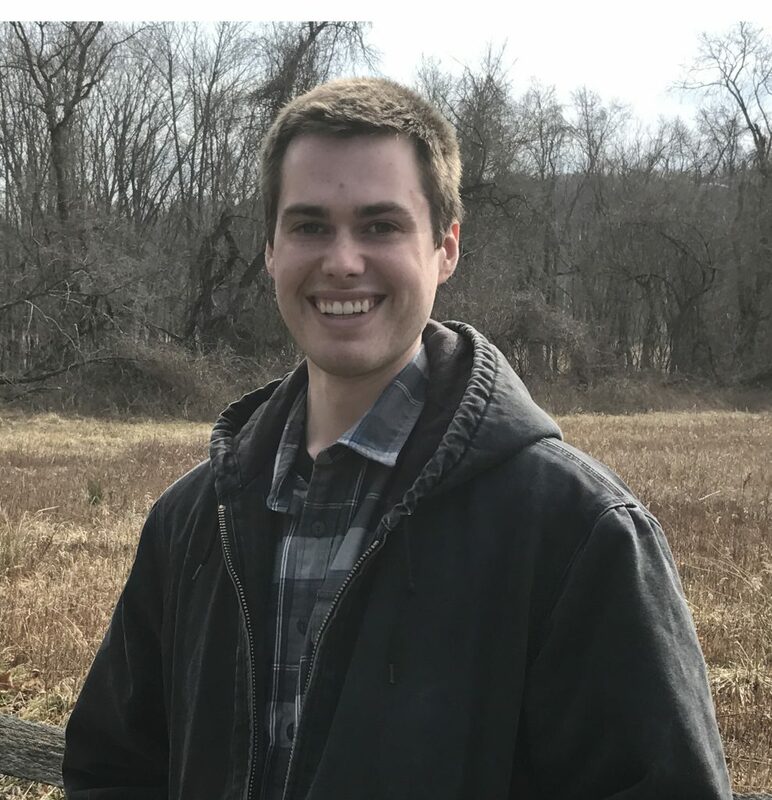 As a graduate of Delaware Valley University with a Bachelor of Science degree in Horticulture, Matthew took courses in plant science and sustainable agriculture. Matthew grew up in suburban Philadelphia and his love of plants and nature has been an enduring interest in his life. Niki Davis has been with Wallace Landscape Associates for over 10 years as our lead horticulturist and Purchasing Manager. Niki is responsible for purchasing all plant material for design installations as well as overseeing the maintenance of our residential client properties. Niki’s extensive knowledge of plants and the local ecology combined with her attention to detail is what makes her a leader in the industry. In addition to her horticultural work she oversees and manages the installation of all the outdoor landscape lighting projects for Wallace Landscape Associates. Niki Davis has Bachelors of Science degree in Landscape Contracting with a minor in horticulture from the Pennsylvania State University. Most homeowners envision relaxing in their yards surrounded by beautiful gardens, however, they don’t think about all the weeding and pruning it takes to keep their gardening looking good and thriving. The underlying secret to a garden that grows more beautiful year after year is professional maintenance. A professional gardener knows how to prune to maintain the landscape at its best. They know when and what to feed for maximum health and beauty. Even something as simple as mulching can hurt or enhance the health of a plant. Summer container plantings can be spectacular or border on mundane. Trained professionals make all the difference. There are hundreds of maintenance companies vying for work, but educated, professional gardeners are in short supply. Wallace Landscape Associates is lucky to have several of the best on staff ready to help your property look and be its best. Are you and your garden ready for the growing season? It may seem cold and dreary now, but February is actually a great time to start planning for the spring. We recommend making a list of needed improvements and schedule a short consult with one of our landscape architects so you and you garden can be ready when spring finally arrives. Even low maintenance gardens need some work each week during the growing season. Then there’s spring cleanup, fall maintenance, winterizing, and planning for next year. Hiring a professional gardener means you can increase your time spent on other things rather than spending it pulling weeds. Even if you enjoy some garden work, you can still hire a gardener to do a portion of the hard work so that you are able to enjoy your garden fully. When you hire a professional gardener, you’re paying for their knowledge and hard work. There are lots of ‘landscapers’ out there, but it takes good education, experience, and great interest to become a professional who has the necessary skill set to take care of a garden properly. Hiring a professional gardener can make a dramatic difference in the look of your landscape. A professional gardener knows how to prune to maintain the landscape at its best. Improper pruning may cause a plant to become misshaped or unhealthy. They know when and what to feed for maximum health and beauty. Even something as simple as mulching can hurt or enhance the health of plants. A professional gardener will know how to make a garden interesting throughout the whole year. Starting in late March or early April, our professional gardeners will prepare your garden to welcome spring and keep it lovely all season. We also provide bi-weekly, weekly or even monthly visits that include watering, weeding and dead heading to keep your plants thriving through the summer months. A thorough clean up in the fall is advisable. It not only keeps your landscape looking good, it helps keep plantings healthy by removing dead leaves that may harbor insects or disease vectors and will prepare your garden for its winter slumber. Other services that our professional gardeners provide is the application of dear repellant, herbicides, fertilization and seasonal container plantings. Expert maintenance is the secret to a beautiful, thriving landscape. Even a low maintenance landscape needs expert attention to retain its charm. Timely watering, fertilization, correct pruning and weed control are all important to keeping a landscape fresh and lovely. Fertilizer can burn, improper pruning can destroy the integrity of plants and untrained crew members may remove emerging perennials, thinking they are weeds. One of the costliest mistakes in gardening is using plants that are not ideal for the garden’s location and climate (lighting, exposure, soil conditions, existing pests and climate). This could mean plants dying, plants that require too much maintenance, invasive plants that takes over, or putting in a large plant that will outgrow the space in a couple of years. Poorly placed plants become liabilities, requiring expensive pest treatments, frequent pruning or complete removal long before they have fulfilled their natural life spans. 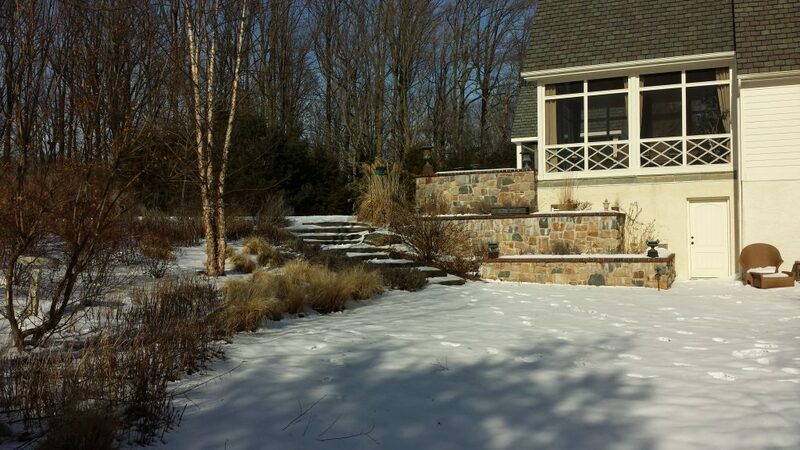 Wallace Landscape Associates professional gardening service grew from an organic need to maintain its client’s landscapes designs after installation. We want the landscapes we install to grow more satisfying with each season. 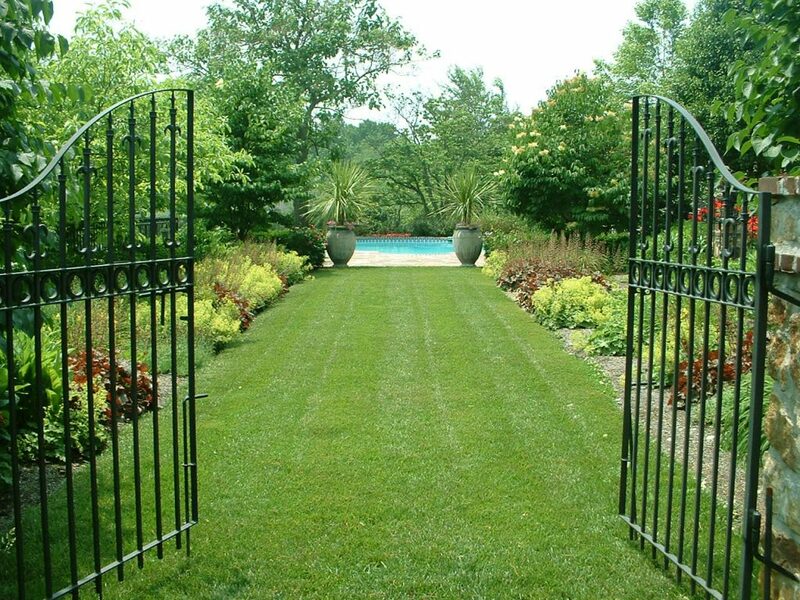 To achieve that goal, we have well trained technicians to install and maintain your garden. Our professional gardeners are degreed horticultural professionals. The same quality standards we apply to installation are equally applied to our maintenance staff. Our schedule does get full, so call today. Wallace Landscape Associates Inc is excited to announce our newest collaborative endeavor. 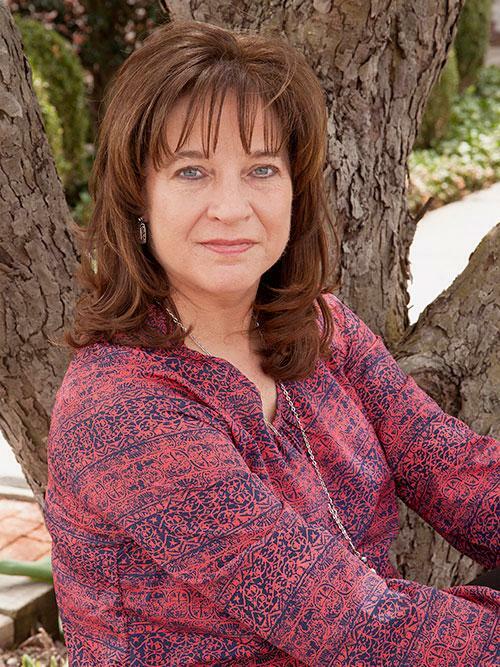 Principal Landscape Architect Laura Miller has been chosen to partner with Studio Outside, a Dallas, TX based Landscape Architecture firm, to create a master plan for the renovation of the University’s Botanic Gardens (UDBG). The University has appointed Studio Outside to lead the master plan process. 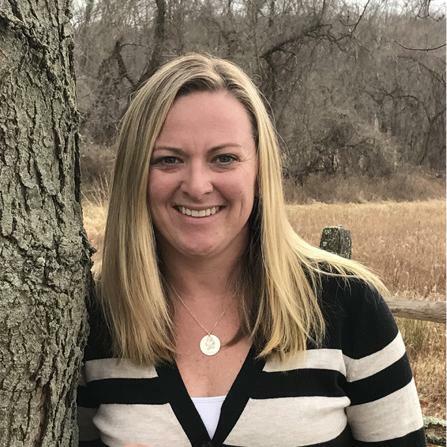 Award winning landscape architect Laura Miller of Wallace Landscape Associates Inc was appointed to be part of the Studio Outside team and will be the local landscape architect specializing in plant material and horticulture. The University of Delaware’s Botanic Gardens is a little know gem and tremendous resource to the community. With the goal of attracting more visitors and awareness to its facilities, the University has decided to invest in a comprehensive master plan that would encompass the existing 12 gardens on fifteen acres of university land. 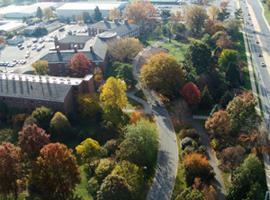 The University of Delaware Botanic Gardens began in the late 1950’s with the planting of specimen trees and shrubs around Townsend Hall at the College of Agriculture and Natural Resources (CANR). Over time the gardens were expanded to serve the University of Delaware’s community and the broader public. In 1992 the name ‘University of Delaware Botanic Gardens’ was adopted and in 2006, the Dean of CANR officially recognized the University of Delaware Botanic Gardens and appointed its first Director, Dr. John Frett. Click here to see map. The mission of the new UD Botanic Garden’s master plan, in addition to raising awareness, is to increase stewardship and love of the natural and built environment via education. Education is a vital element of the UD Botanic Garden’s mission. At its core, the Botanic Gardens is a research center, laboratory, and a classroom where students can study plant biology, botany, plant pathology, landscape design, ornamental horticulture, and entomology through observational learning. It also maintains a diverse plant collection that has more than 3,000 species and cultivars of perennials, shrubs, and trees. Focusing on this key goal and developing engaging relevant and innovative range of programs will be vital to the successful master planning process. In the near future, the Botanic Gardens hopes to expand its plant-based research in the College of Agriculture and Natural Resources (CANR) and related fields of study and further grow its educational and informational programs to faculty, students, landscape professionals and the general public. 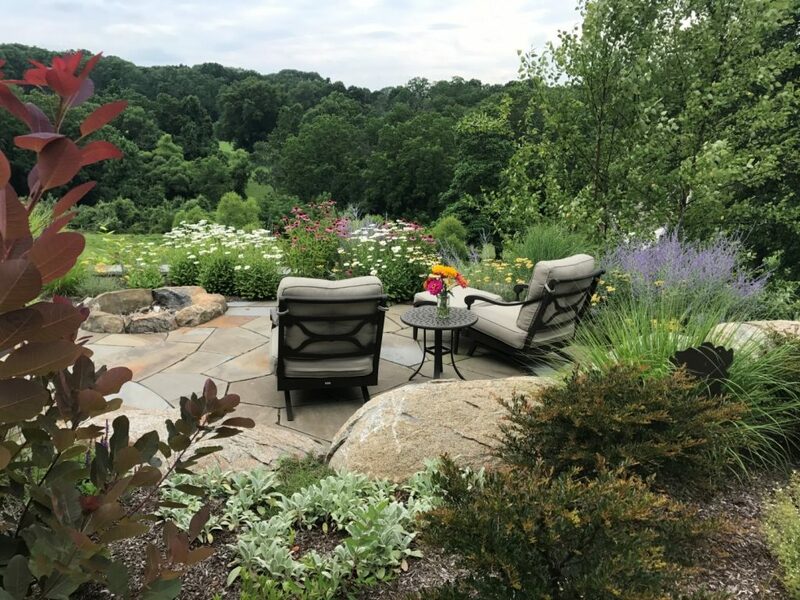 Laura has over 25 years of experience as a landscape architect creating unique environments in Delaware, southern Chester County and the Main Line. Her ability to integrate cultural and landscape palates as well as her keen awareness of how people use space enable her to create distinctive visually appealing landscapes. Her understanding and love of plant material and ecology play a significant role in her designs and set her apart as a landscape architect. To find out more about Laura click here.